Powerful enough for any job yet economical enough to not break the bank; rely on the Air Mover 3 as your air blower of choice. Three speed versatility and power reduces carpet drying times by up to 50%. Power you need without breaking the bank. job. 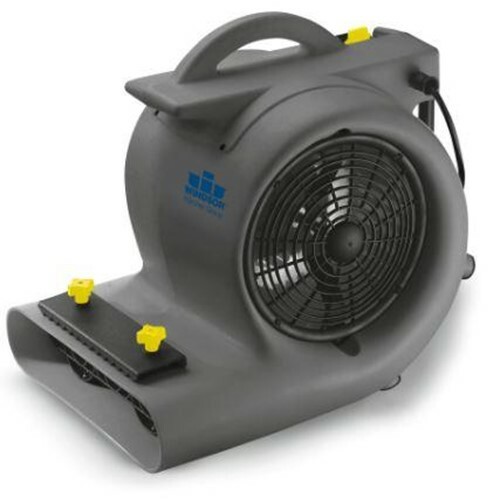 The powerful 3,000 cfm air movement promotes rapid drying in no time. Three speeds of air movement for every type of job. Maximum air movement of 3,000 cfm for rapid drying of carpet and hard floors. Sturdy four point motor mount to withstand heavy use and rough handling. Three different three standing positions to allow air to be directed in any angle.